A recently released photo shows what some believe is a translucent, or perhaps transparent, extraterrestrial. 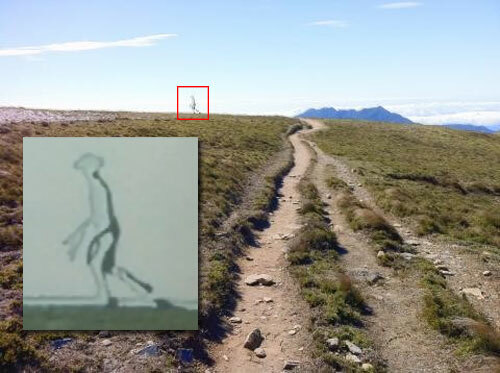 The photo shows a human-like figure, seemingly walking uphill with hands hanging just below waist level. The unusual shape of the figure’s head brings to mind the silhouette of Princess Leia from the Star Wars saga. The odd shape of the creature’s hands is like the shadow of snorkeling fins or Spiderman’s open palms. 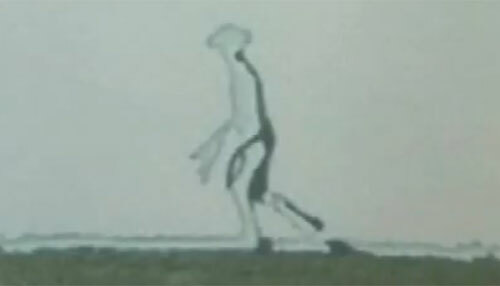 The whole human-like image seems semi-transparent or transparent, with double lines shaping the image from neck to leg. 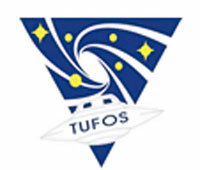 According to the Taipei Times, TUFOS has had experts on mobile phone technology, computer imagery, and camera photography inspecting the photo. But no conclusive findings have been reported. What do you think? Is the strange object in this photo the result of double exposure or some other photographic glitch? Or does this photo show a potentially extraterrestrial life form? Share your thoughts with us in the comment section below, or leave a comment on our Facebook page. I new something was breathing on the back of my neck.